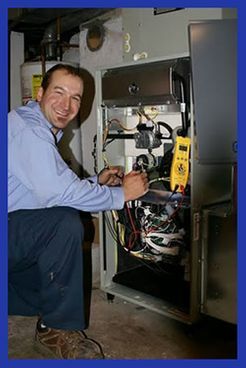 The purpose of an annual precision tune-up is to advise the home owner of repairs needed before the heating season. 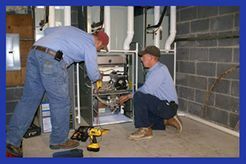 The annual precision tune-up will help to extend the life of your equipment, reducing costly repairs, improve furnace capacity, and lower energy bills. Inspection of furnace and heat exchanger. Test airflow for carbon monoxide, when necessary. Lubricate blower motor (if applicable). Measure temperature differences – supply and return. Inspect and adjust fan belt tension (if applicable). Check pilot flame and clean flame sensor. Brush, clean, and vacuum burner. Test furnace flame for proper burn. Measure and adjust gas pressure for peak efficiency. Measure amperage and voltage of blower motor. *Standard filters do not include Air Bear, Spaceguard, or Dynamic filters. We do all this for $99.00! - Call to make an appointment! Gearhart Plumbing, Heating, & Cooling, Inc. is offers an air conditioning special to prepare your unit for the cooling season. We do all this for $99.00!